You know when you have an important meeting and your half way through your hair and your faithful GHD's you've had for about 6 years decide they've had enough and want to join all your old hairbrushes in the sky? Well that's what happened to me a few days a go. Half my head was done. Half! 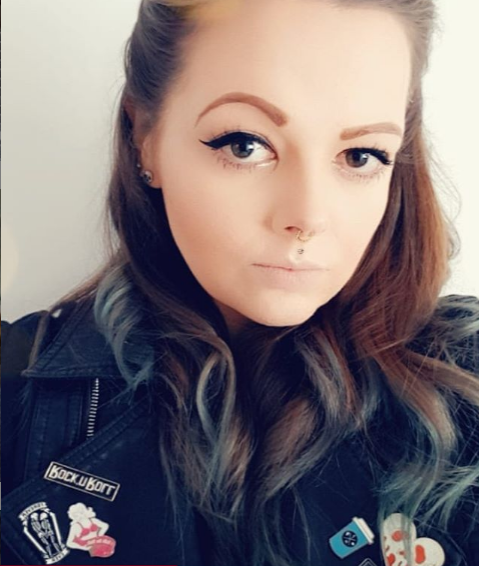 Some how I managed to somewhat straighten the rest with a curler and rocking a quiff, so I didn't have to leave the house looking like I'd been dragged through a hedge backwards, but it was a close call! After my hubby taking them apart and confirming they were in fact no more, I knew I had to order another pair and quick. I use straighteners everyday to straighten or curl my hair and GHD's have always had a special place in my heart. 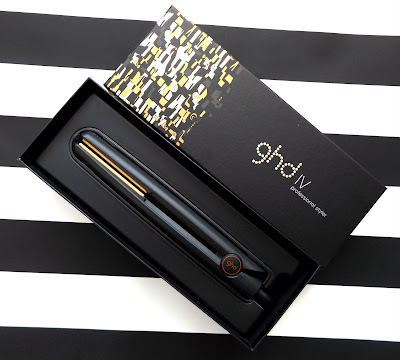 I ordered the bog standard black GHD IV styler simply because I've found the special editions and coloured versions never last as long and black is a classic. Simple. Why spend that sort of cash on a set of straighteners I hear you cry? Well they are bloody awesome to be honest. 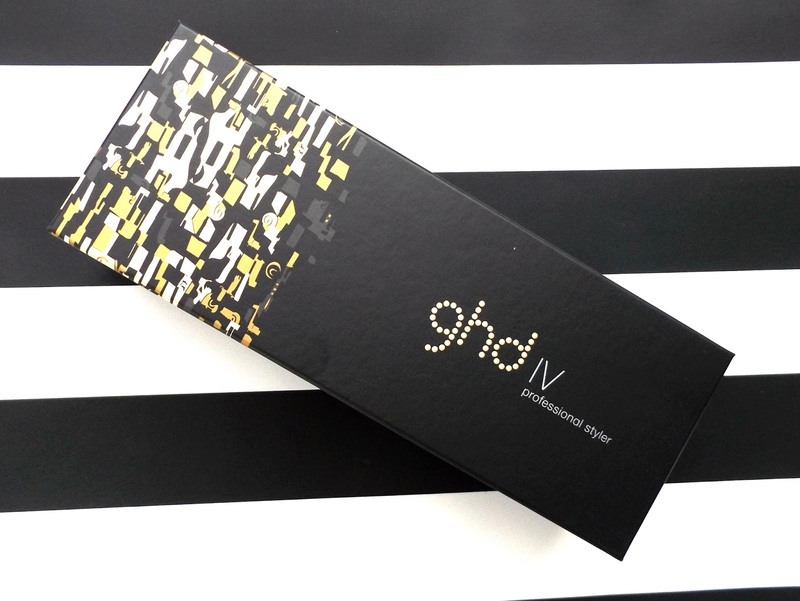 Not only are GHD's award winning but they are suitable for all hair types, heat up in seconds and looked after, last years! I use mine to do all sorts of styles from straight to waves and curls, it saves having a draw full of hair stylers and they are so easy to use. They feature ceramic plates which are perfect to glide along the hair, not drag or pull it. No more ouch moments hurray! They also have a sleep mode which I think is amazing as I am totally forgetful and must admit I have walked away leaving my straighteners on without thinking.... These beauties turn themselves off if you haven't moved them in a few minutes. They even come with a 2.8m cord so your not stuck inches away from a plug socket trying to pull bits of your hair into view in the mirror. 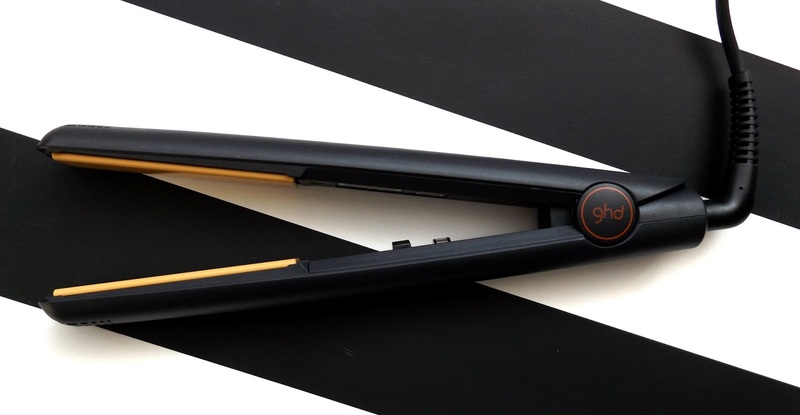 I know there's hundreds of straighteners out on the market but these from GHD will always get my vote. Yes, they are on the expensive side but as my last pair lasted me 6 years they are awesome value for money. I picked mine up for £79.99 so if they last me another 6 years, it's just over £10 a year for everyday use. Have you tried GHD's? What's your favourite straightener brand? I agree, you get what you pay for and these are by far the best brand out there in my opinion! 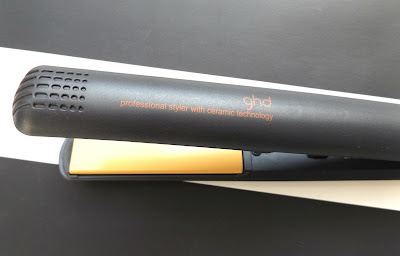 GHD's are in my mind the best for hair straighteners. I don't own a pair of my own (mostly because my hair is wavy so I don't straighten it often enough to buy them) but when I use my friends or get it done at the salon with GHD's I can always feel and see the difference. I'm glad your hair will be back on top silky straight form!